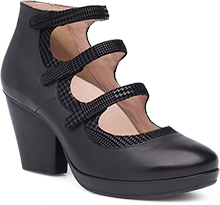 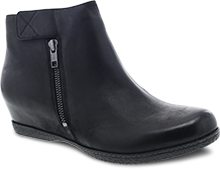 The Dansko Black Nubuck from the Susan collection. 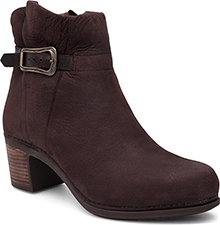 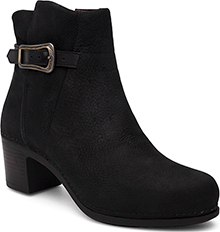 For the perfect fall-to-spring bootie, look no further than Susan! 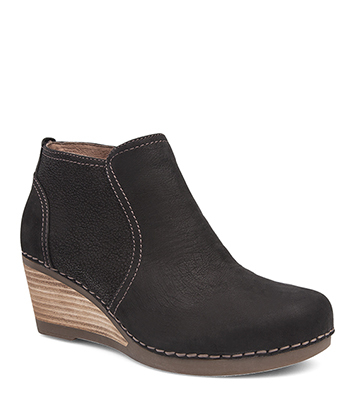 With its feminine shape and a stack leather wedge, it generates a contemporary look that complements your brisk weather wardrobe.